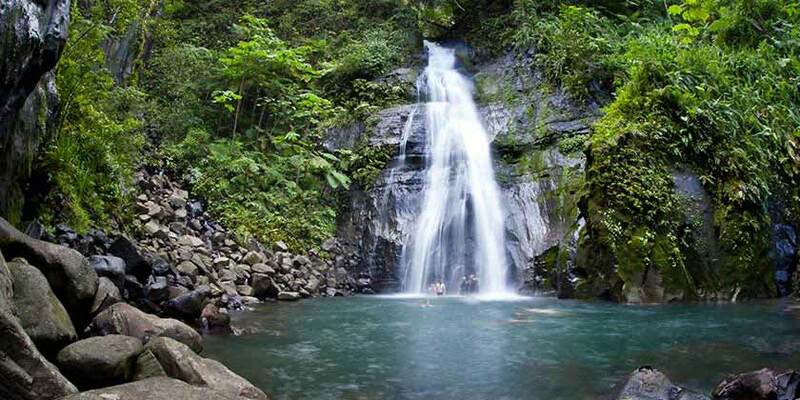 Located in the Central Plateau region of Costa Rica is the bustling capital city San José. Built on the profits of the coffee trade, San José welcomes visitors to try freshly roasted local beans at Mercado Central. The city itself also features many local cultural attractions, such as historic landmarks, museums, and hotels, and a lively nightlife found in the Spanish village-inspired El Pueblo. Beyond the city are lush jungles, pristine beaches, awe-inspiring mountains, and explosive volcanoes that offer a range of activities from relaxed nature walks to thrilling whitewater rafting and ziplining. Plus, United Airlines® has the flight to make any San José dream come true. Book with United Vacations today. This trip combines sensational white water rafting with a glimpse of Costa Rican history, agricultural development and wildlife. See the rainforest from above the tree tops on this aerial tram ride from San Jose! Resort info: Elegantly equipped with plush colonial-style décor & luxurious amenities, this hacienda-style hotel boasts distinctive facilities & a great location. Resort info: Nestled amidst 72 acres of lush forest and fragrant gardens, this ecological retreat is a haven for nature lovers and adventurers alike. Resort info: Offers the combination of the energy of the active Arenal Volcano, the heat of the Tabacon Hot Springs and the purity of the surrounding rainforest. Resort info: Overlooking the Pacific Ocean and lush tropical rainforest, this picturesque boutique resort provides an oasis of comfort and friendly service.